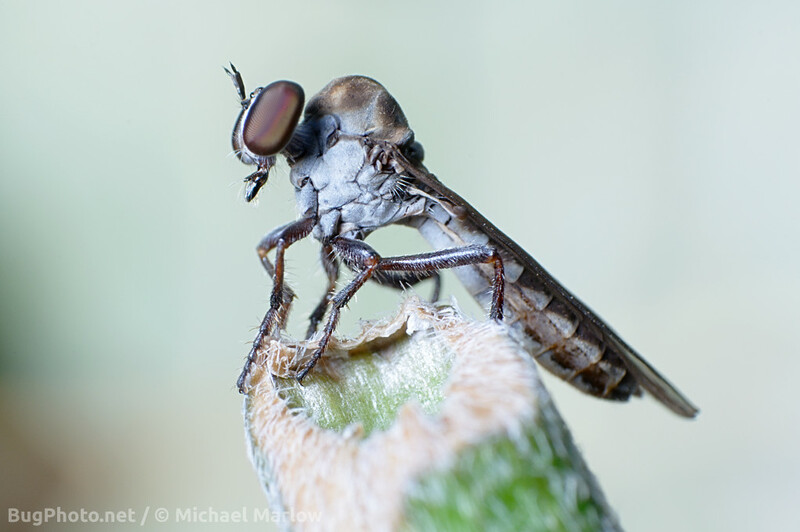 The better to see you with: Holcocephala species of robber fly. I only saw a single one of these subjects this year; it was about a week and a half ago, on a clipped Zinnia stem, and I was unsure at first if it was even alive (it was, and naturally, I eventually, clumsily, scared it off). (But not before getting a couple decent shots.) Usually they come out in August; well at least in past summers. It’s been a weird year, of course. Not 100% positive, but pretty sure this is species Holcocephala calva. 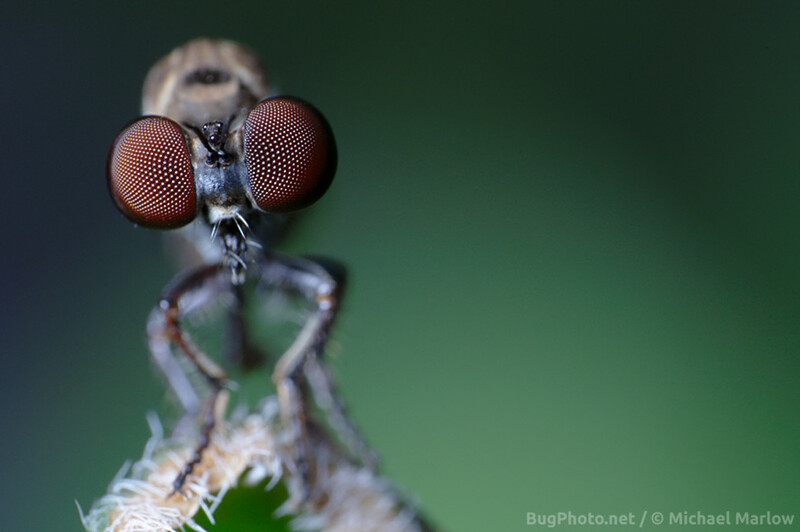 An ogre gnat (a small robber fly) in profile. Holcocephala sp. Posted in Robber FliesTagged Asilidae, compound eyes, crazy eyes, Holcocephala calva, Macro Photography, red eye, reverse lensBookmark the permalink.